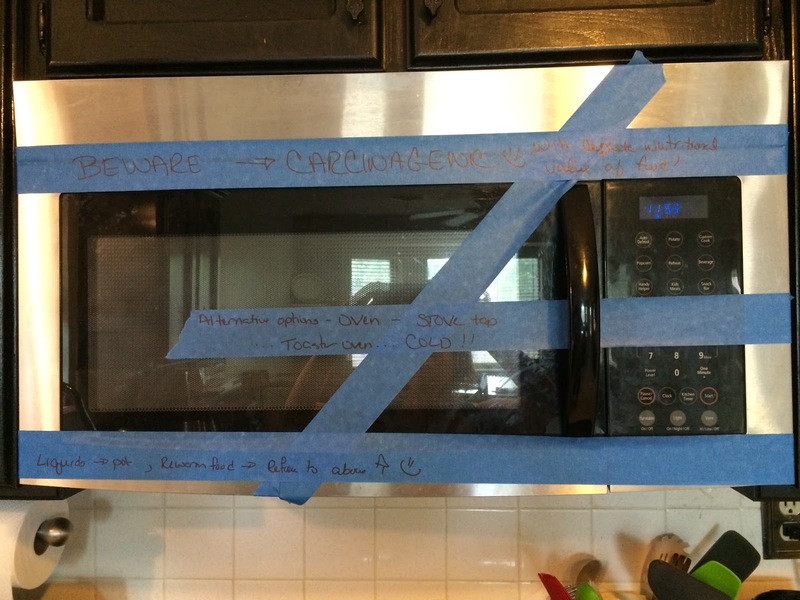 My most recent endeavor with the family is convincing them to finally NOT use the microwave for ANYTHING! ~ or just eat it cold!!! I read a fabulous post over a year ago by the FOOD BABE….but my family thought it was kind of wonky. Then…. TTAC (The Truth About Cancer) website and newsletter shared all the science behind it even more…it just convicted me to say ENOUGH….thus I have actually not used a micro myself for about 5 weeks now….AND I HAVE SURVIVED!!! And I drink A LOT OF TEA!!! Carcinogenic…..will deplete food of nutrients….. Please take the time to follow the link for the TTAC and read what they have to say! Are you willing to give up your microwave!? Sit with it….write about it! Why….because I believe the best way to understanding and even embracing change needs and must be taken to God…..so pray about it! Many blessings and hugs dear readers….family….friends…. Peace and Joy for the Soul….